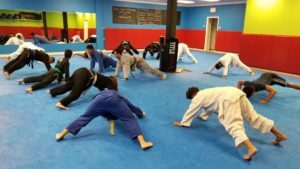 When students first come to BJJ they see more the moves. Armlock, Guilotine, Triangle, Hop Throw to name a few. The look at these moves and think if they learn them they can apply them in a fight. Later they start to see the positions too. Stand Up, Mount, Guard, Cross Body, Back and more. Yet the moves and the positions are only a small part of Brazilian Jiu-Jitsu. Of course you want to know them right, but rolling in BJJ is a constantly fluid and amorphous thing. If you are fighting a skilled person you will see far less energy being used to accomplish things. If you are fighting a less skilled person you may experience a lot of energy very explosive and sloppy. Beyond the energy that you feel from your opponent there is also the energy that you provide within your moves, reactions and positions. This energy or shall I say the development of this energy is where the higher BJJ actually exists. Your ability to APPLY energy to key points of contact within the execution of moves, the countering of moves or the holding and escaping of positions and MAINTAINING it until you get the desired results is the much higher skill of BJJ. Sadly most people will never reach this level or understand it. It takes time and focus but the reward is amazing. The ability to instantly read your opponents intentions even beyond any deception or fake and react correctly to use that energy against them is absolute gold. It is one of the reasons I enjoy BJJ and this skill stays with you as you age. I must also note however that this skill is developed within the petri dish of rolling without striking. There is no hitting, biting, eye gauging or other kinds of attacks. Not to say that these attacks cannot be countered in this format but by rolling without them one can become accustomed to their absence. That being said the Refined, Tactile Sensitivity and Energy Application that I have developed from BJJ has also crossed over into other arenas of fighting for me. Of course it has made my stand up Wrestling better, but also in a variety of other applications where one would not expect to see it benefiting. All in all spending time in BJJ has been of tremendous benefit to me, my wife and my children. It has given us abilities that other people simply do not have or do not have as well. 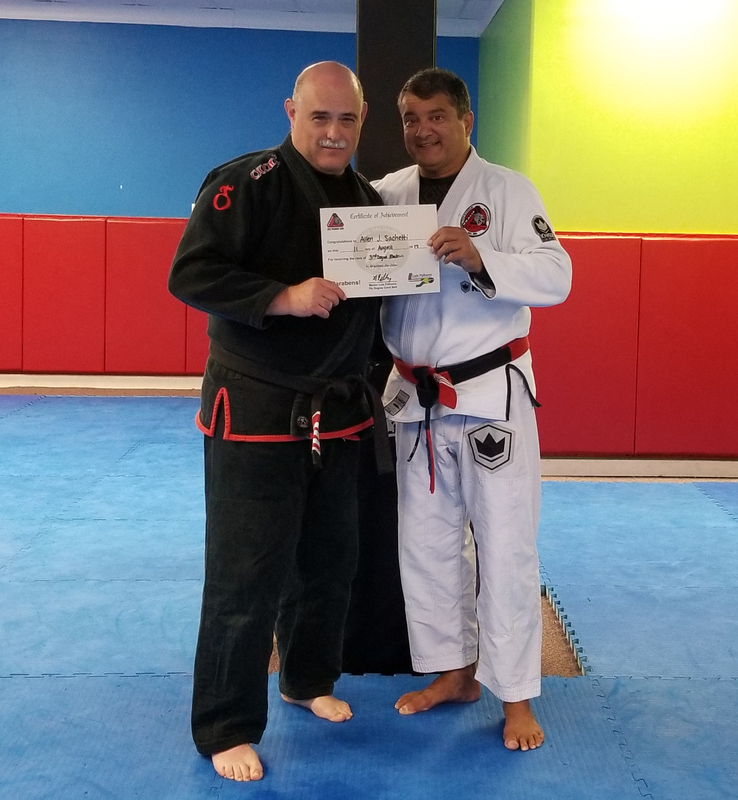 These abilities have not only enabled me to excel in Gi and No Gi Grappling, but they have also added to my MMA and further development of SFA, The Survival Fighting Axiom.